Does Delaware have state overtime laws that are different from federal law? Delaware does not have overtime laws that are different from federal law. Additional information on federal overtime law is available at http://www.workplacefairness.org/overtime. Does Delaware have a minimum wage that is different from federal law? The minimum wage in Delaware is $8.25 per hour, which is higher than the federal minimum wage of $7.25 per hour. Generally, employers cannot use other costs of employment to decrease the minimum wage required. Employers, however, can use tips and gratuities to reduce the minimum wage required to $2.23. Does Delaware have meal and rest break requirements, unlike federal law? Under Delaware laws, all employees are entitled to a thirty minutes meal break after the first two hours and before the last two hours of work if they are scheduled to work at least seven and a half hours per day. How do I file a wage/hour or labor standards claim in Delaware? You can file a wage claim with the Delaware Department of Labor’s Office of Labor Law Enforcement.The form for doing so can be found here: http://dia.delawareworks.com/labor-law/documents/Wage%20Payment%20Claim%20Form.pdf. If you have a wage/hour claim, do not delay in contacting the Office of Labor Law Enforcement to file a claim. There are strict time limits in which wage claims must be filed. In order for the agency to act on your behalf, you must file with one year from the date that the claim arose. Do not wait to file your claim until your time limit is close to expiring. You may wish to consult with an attorney prior to filing your claim, if possible.  Yet if you are unable to find an attorney who will assist you, it is not necessary to have an attorney to file your claim. How can I or my attorney pursue a claim in court in Delaware? In Delaware a private attorney can file a private lawsuit to recover past compensation plus attorney’s fees and reasonable costs.